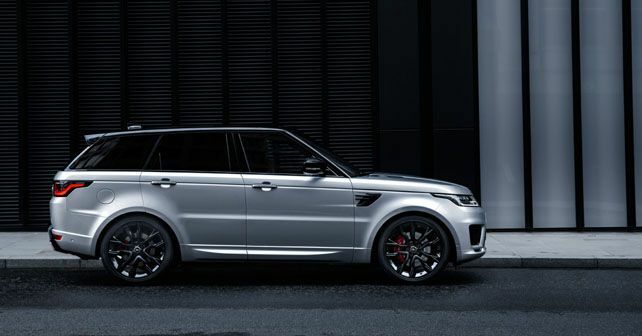 The Land Rover Range Rover Sport HST special edition model comes with JLR's all-new 3.0-litre, in-line, six-cylinder petrol motor. The Range Rover Sport becomes next the model in the Land Rover stable to get an Ingenium motor. What makes this Range Rover HST special edition all the more unique is that it becomes the first model to get JLR's spanking-new 3.0-litre, straight-six petrol motor, which develops a whopping 395bhp. This more balanced and responsive Ingenium motor replaces the existing 3.0-litre V6 petrol motor. With 550Nm of torque on offer, the new motor propels the Range Rover Sport from 0 to 100km/h in 6.2 seconds and has a top speed of 225km/h. These performance numbers have been achieved with the introduction of innovative tech like an electric supercharger, which is able to spool fully in just 0.5 seconds to up to 1,20,000rpm. Thanks to a direct connection with the throttle, JLR claims that this new supercharger virtually eliminates all turbo lag, giving it the ability to achieve instant acceleration. Supported by a twin-scroll turbocharger and Continuous Variable Valve Lift, the new Ingenium motor optimises performance and fuel economy as well as reduces emissions. In addition to this, the engine also features a 48V Mild Hybrid Electric Vehicle (MHEV) technology, which gives the Range Rover Sport HST a claimed fuel-efficiency figure of 10.75km/l. The special edition HST model is currently available for order with a choice of two alloy wheel designs and five exterior colours – Santorini Black, Fuji White, Indus Silver, Firenze Red and Carpathian Grey. The HST model will be differentiated from the rest of the range by Red /Anodised Grey brake callipers. Further, the exterior updates on the HST include bespoke badging and carbon fibre trim on the bonnet, front grille, side vents and tailgate. The interior of the HST has 16-way dynamic front seats, an updated colour pattern with suede cloth detailing on the steering wheel and gear lever, satin chrome gear shift paddles and an HST-badged fascia.